Tail Camera View, Smoother Rocket Ascent Over Desert Terrain In Saudi Arabia. 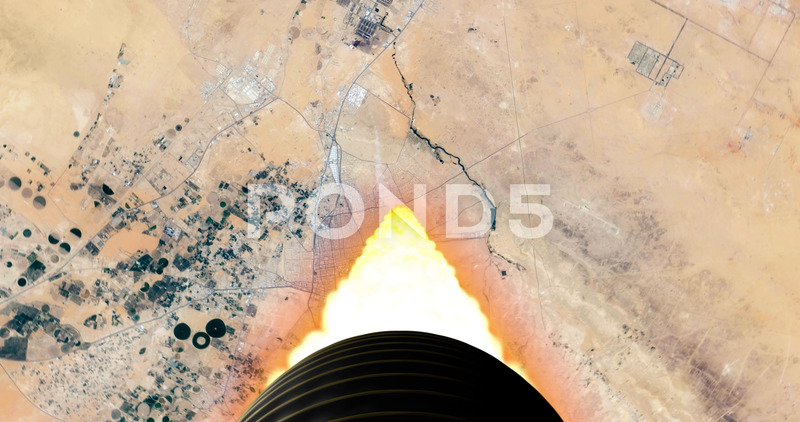 Description: Tail camera view of a smoother rocket ascent over desert terrain in Saudi Arabia, with camera shake and debris trails. Elements of this image furnished by NASA.